The most common and important weapon wielded by a Viking warrior was the Norse spear. Viking spears typically feature metal spear heads attached to wooden shafts of 6 to 10 feet long. The head of a Viking warrior spear was about 7 to 24 inches long with a tendency towards longer heads in the late Viking age. Some of the Norse spear heads had wings called krokspjot, or a barbed spear. Viking warriors used their war spears for throwing and thrusting with one hand. 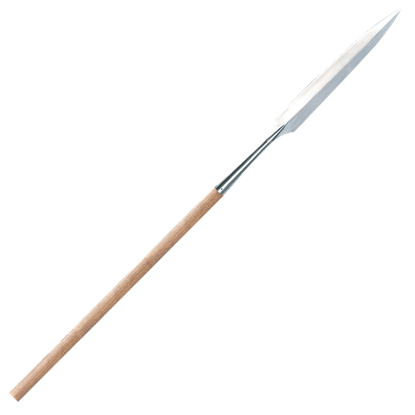 We carry many functional spears, spear heads, and wooden staves perfect for reenactments, combat, and collecting. Our inventory includes designs like Viking thrusting spears, Viking throwing spears, short-bladed spears, and more. These Viking polearms look great on display when they are not in use. 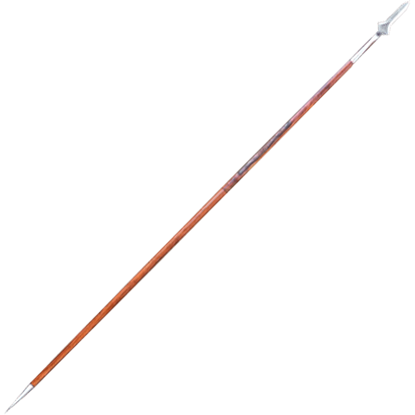 The spear is one of the oldest and most important of all weapons. 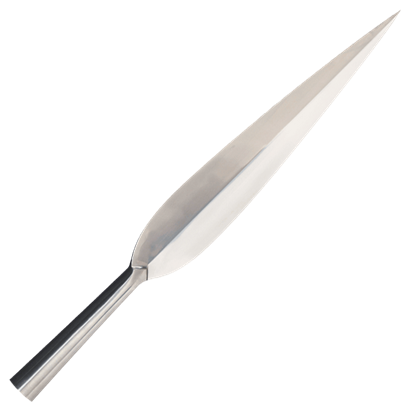 The Celts, as well as the Vikings, used this type not for throwing, but as an cutting weapon. The Hewig Spearhead socket will fit a 1.25 inch round pole. 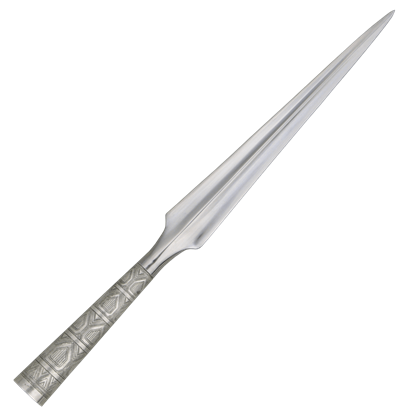 This is a spear that would thrust effectively, and yet have the power to cut decisively. The blade is made from high carbon steel and is slim and attractive to see. It is just the spear to carry on your next medieval outing. This Viking spear is hand forged of high carbon steel. The spearhead includes a 4.5 inch steel socket and the blade is 9.25 inches long, 2 inches wide and 3/16 an inch thick. The overall length of the Viking spear is 14.75 inches. The decorated spearheads demonstrate the Vikings creative mix of art and war, whereby weapons often carried intricate patterns, created using the Niello process. These make for great collectibles and great weapons! The decorated spearheads demonstrate the Vikings creative mix of art and war, whereby weapons often carried intricate patterns, created using the Niello process. These make for great collectibles and display pieces! As ferocious as they were, even the Vikings understood that having a shield could mean the difference between life and death. 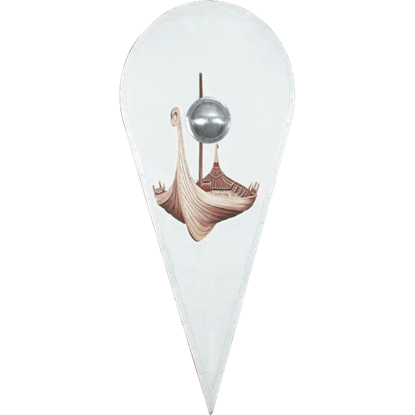 Thus, many would carry this Viking Kite Shield into battle, assured that this shield would protect them. 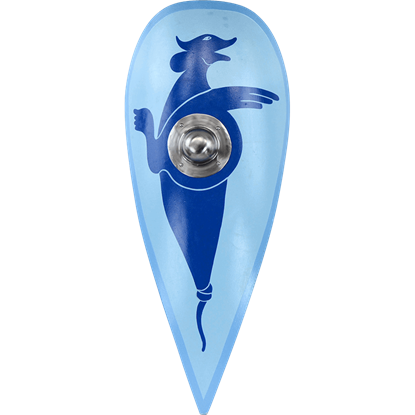 This kite shield is decorated with a classic Viking longship, which is where the shield derives its name. 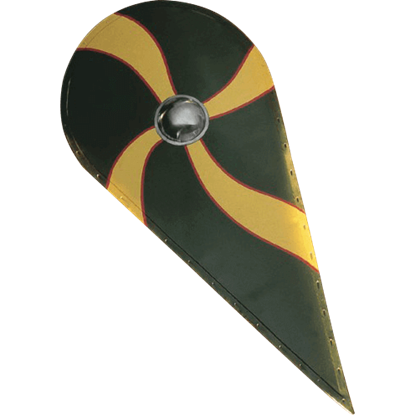 The Viking Ship Shield would make a great defense for any warrior in battle, while its design makes it a great display as well. 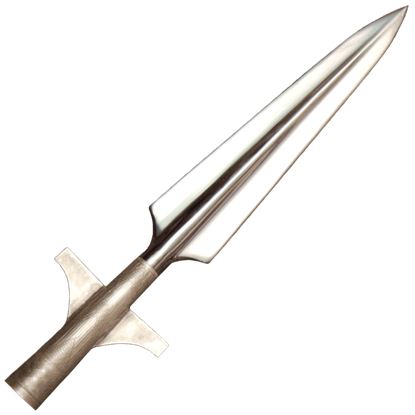 The spear was one of two weapons that were typically favored by Vikings, the other being an axe. This Viking Spear is a straight-forward weapon that is to-the-point, featuring an effective tip for jabbing, stabbing, and thrusting.